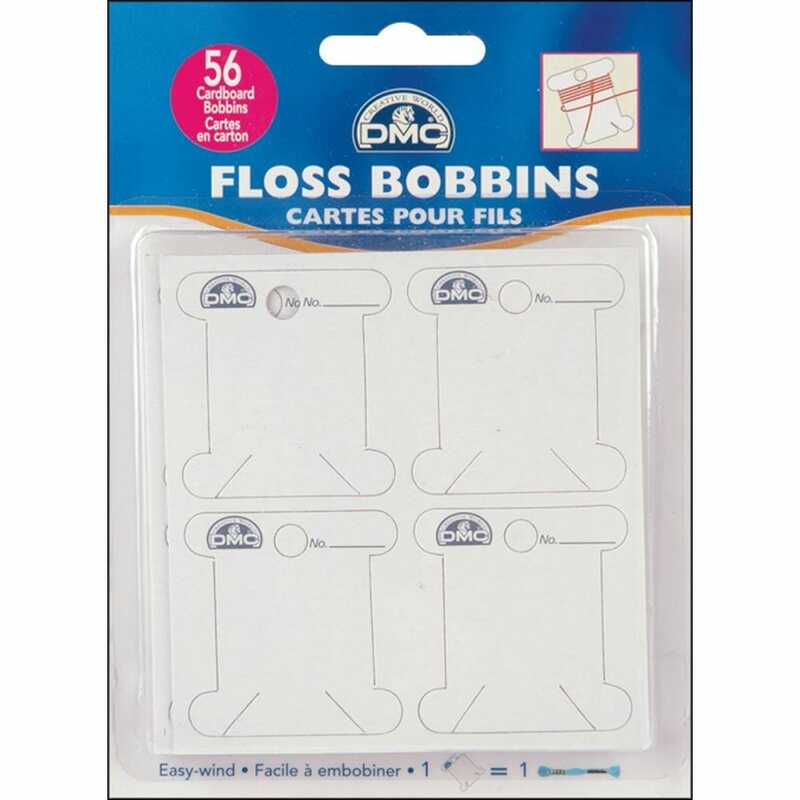 DMC-Cardboard Floss Bobbins. High quality white cardboard bobbin cards. Bobbins are used for winding DMC floss for easy storage. Customized with DMC logo and color number line. This package contains fifty-six bobbins. Great Etsy seller. Thank you!